When it comes to show-stopping accessories, Kendra Scott is the queen of the land. The obsession is real and I'd like to think it's pretty easy to see why. 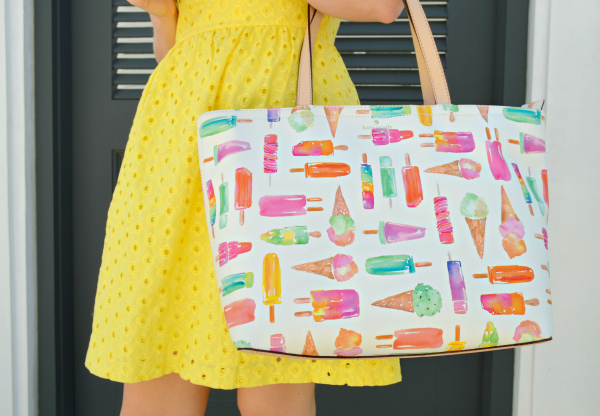 As a color-fiend, I can always count on Kendra to bring the pop! Today, I'm sharing some of my newest favorite KS necklaces. The Harlow Statement Necklace is the perfect way to infuse a burst of fun into your spring ensembles and this gorgeous statement piece comes in tons for eye catching shades. Below are some of my favorites that are currently available! Such a darling little outfit. You always wear color so well. Love this outfit, girl. Kendra Scott is my favorite designer. 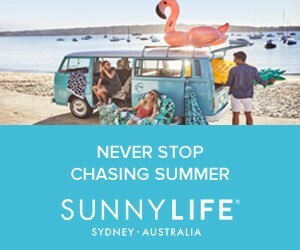 Can I have them all, please? Your shoes are amazing! I love this! The bright colors really pop for spring. Such a pretty spring look! Love that yellow! I love Kendra Scott! 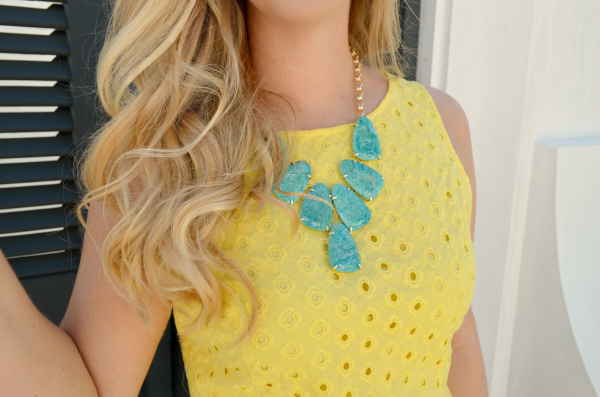 The color on this necklace is so gorgeous with that yellow dress!! Love the dress & necklace. You look stunning!! 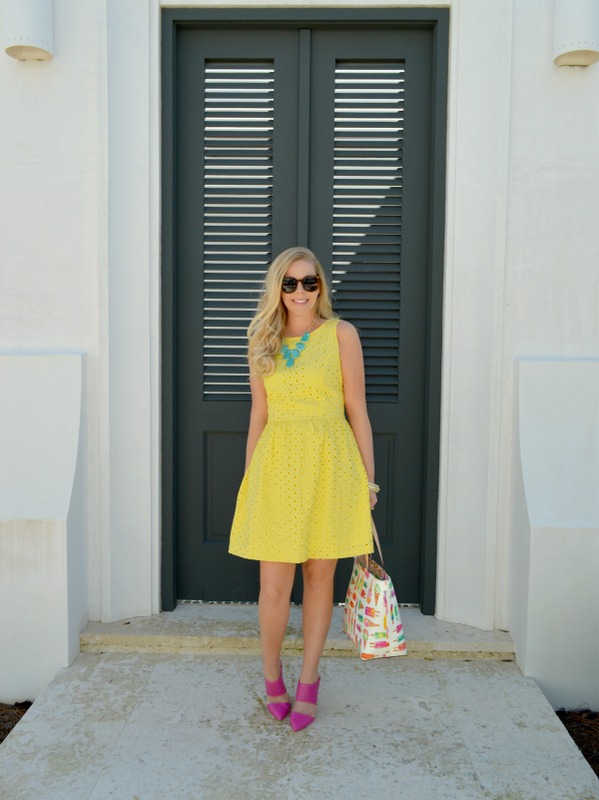 Okay, Anna, that yellow eyelet dress is a dream! Love the contrast of color with your necklace! Such a fun colorful look! In love with that necklace! 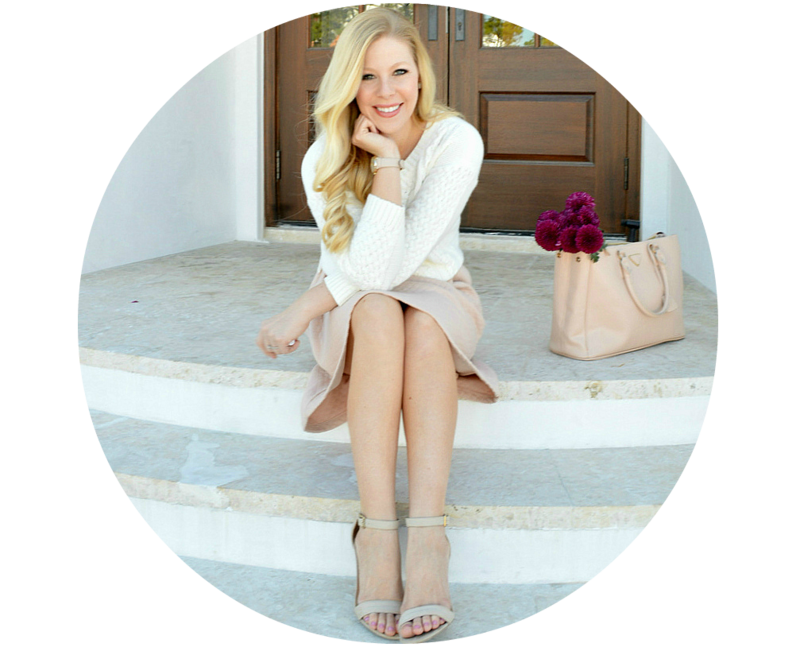 I love this outfit and all things Kendra Scott! Love your necklace! 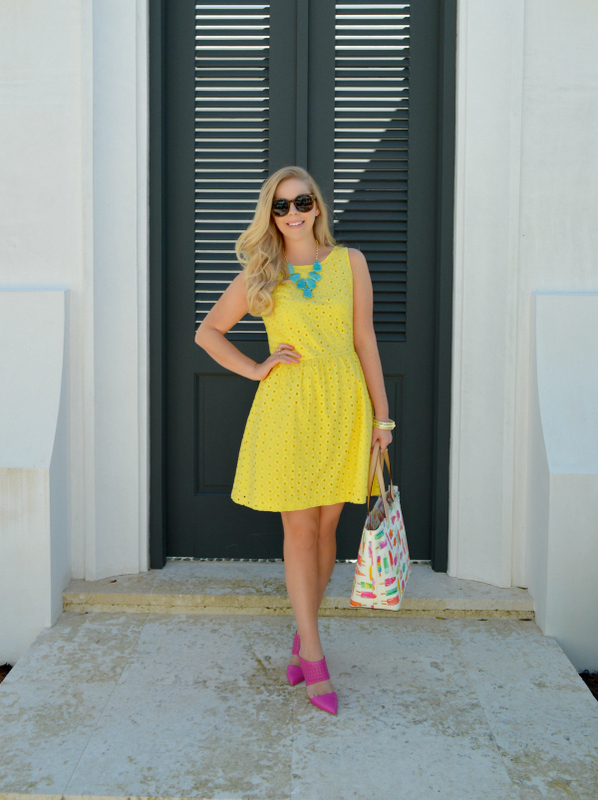 Such a pretty yellow dress! 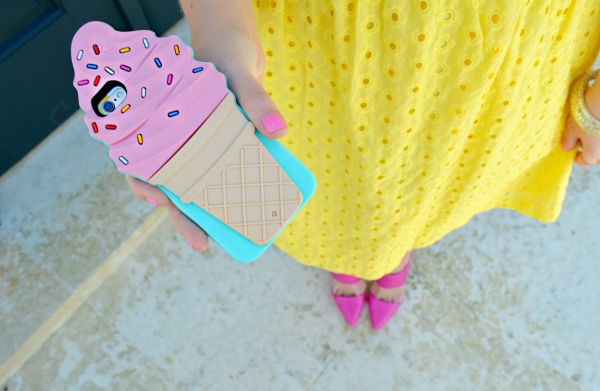 Your yellow dress is so cute, I almost bought that phone case! I agree, that necklace is stunning and paired perfectly with that yellow dress! This outfit is absolute perfection! You look amazing and I love the necklaces. I'm seriously obsessed with everything about this look!! So so cute! I love Kendra Scott's jewelry! The necklace is amazing. And that dress is oh so pretty! You can't beat a KS bauble! The turquoise + yellow here is way gorgeous, babe! Love this outfit, so cute and colorful! How beautiful to see these necklace . You are well-done for shared here . Your article is so beautiful, thanks for your share.